Balancing your schedule and being a busy college student is tough. Learn how to relax with these easy ways to de-stress when you know it’s time for a break. There’s no denying it – college is stressful, especially when midterms and finals come around. As a busy college student your schedule is jam packed with lectures, discussions, and assignments all while trying to balance a social life at the same time. Though your life may seem a little hectic at times, make sure you make time to decompress, or else you’ll burn yourself out too quickly. Check out these 10 ways to de-stress when you feel like you’re going to implode. Get the blood flowing. A quick walk, or even just stepping outside, can boost your mood and is a great healthy habit. Taking a break can help you relax and clear your mind. Deep breaths help lower your heart rate, lower or stabilize your blood pressure, and can help ease any anxiety you may be feeling. College is stressful and it’s important to sometimes take a moment to simply just release. Remember, deep low breaths are better than shallow breaths from your diaphragm – fill your lungs, let that belly rise as you breathe, and exhale slowly. Repeat until you feel better about life. A little color in your life won’t hurt. Take a trip to the store and pick up a plant to help brighten up your room. From ferns, lucky bamboo, cactuses and other succulents, having a plant in your environment helps you destress. A native Scrantonian who can’t survive without her Starbucks, Lauren is finding her way through the city of Philadelphia and enjoying every second of it. She would love to one day meet her style icon, Kate Middleton, and the rest of the Royal family when she studies abroad in Europe next year. Nothing compares to the wind vortex you are thrown into walking to class in the winter, especially the Villiger Vortex. BLD, BLD, BLD! The BLD, or Black Light Dance, is a freshman right of passage and one of our favorite parts of orientation. Campion, we love to hate it. Nothing quite compares to the Campion Scent stuck on you and all your clothes long after leaving Campion for dinner. What’s in Hawk Sauce?? 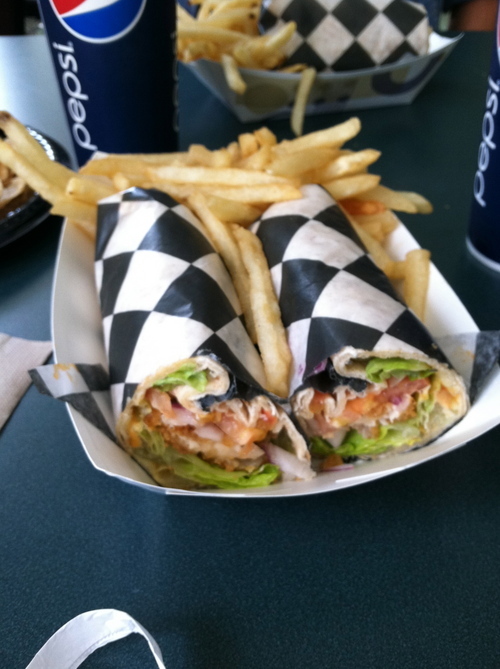 We may never know, but we will love our Hawk Wraps until the Hawk dies….which is never. “The Perch is the coolest place to be on a Saturday night”…said no one ever. All women have the right to feel safe and respected, especially when she has clearly said no. Learn why catcalling is not only rude, but also degrading. It’s a Friday night. I am at a house with my friends trying to meet up with the rest of our group before going out. I am trying to give them directions on the phone to where I am, and they say that they are down the street. So, I head outside to meet them. I am on the phone with them when all of the sudden, this middle-aged man in an old broken down car comes to a halt. I wondered why this man would ever think it was okay to act like this. It was degrading. Does this man not respect women? How would he act if some one did this to his mother, sister, or girlfriend? Why did he drive away as soon as a man came outside? Was it something that I did? These questions are important to think about when looking at catcalling. These four questions will help me explain how degrading catcalling is and why it needs to be put to an end. They meow, which is so much quieter and cuter! Which means they smell a whole lot better. Ever wonder why your breath stinks when you wake up? Morning breath, or halitosis, is very common, but why does it happen? When you sleep, your mouth dries out. When your mouth dries out, odor-producing bacteria thrive. This is because your normal flow of saliva decreases. Also, if you snore or breathe through your mouth at night, you’re more likely to have bad breath in the morning. This is because your mouth is even more prone to drying out, which makes it easier for bacteria to grow. Looking for a reason to quit smoking? Smoking not only causes your saliva to dry up, but also can raise the temperature of your mouth. This makes your mouth a breeding ground for bacteria. Two years ago I made one of the most important decisions of my life. I decided to attend St. Joseph’s University in Philadelphia and I’ve loved every second of it. There are many reasons I love St. Joseph’s, but here are my top ten favorite reasons. Although we do not have a football team our school spirit is unsurpassable. Our amazing basketball team always packs a full house and the games are always a great time. Barbelin, or Barb, is one of the most iconic places on campus, and for good reason. This gorgeous building stuns me every day and has the most beautiful courtyard for studying on sunny spring days. We have the best mascot. 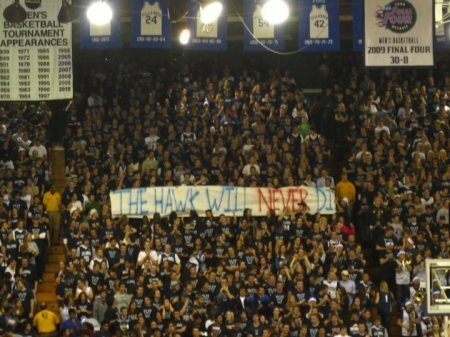 The Hawk Will Never Die, what else can I say? How many of us think about how much water we use everyday? We shower, brush our teeth, and cook meals with water everyday without thinking about it, but imagine living somewhere where you have to travel miles everyday just to get dirty and infectious drinking water. You may be asking, but “Why Water?” The answer is simple: health and sanitation. Waterborne diseases kill more children every single year than AIDS, Malaria, and all world violence combined. This is because small children typically do not have strong enough immune systems to fight diseases like cholera, dysentery, or schistosomiasis. They have served over 306,000 people already in the 7 countries they serve, but they need your help to reach their goal, and serve more. Share on social media! Find them on Twitter, Instagram, Snapchat, and Facebook @thirstproject or on their website. Donate, Get Involved, Spread Awareness! It all started with two harmless emails from St. Joseph’s administration making announcements to the student body and ended with an email chain of over 200 emails sent to the entire student body. Students were “equally annoyed and laughing hysterically,” as one student replied to the student body email chain. One student even advertised that she was looking for a date to her spring formal this semester and to “apply within.” Many people got annoyed with the chain email that started around 11:30pm and continued until the next morning. The email that started it all was, “Congrats homie,” when a student congratulated the newly tenured faculty. “Reply All” also showed school pride for the school that just won the A10 Championship in Basketball. Students gave shoutouts to their favorite players and even took a jab at the school’s sports rival, Villanova. Many were surprised that the St. Joseph’s email system did not shut down or freeze with the large stream of emails.